The Trenwick America Health Insurance Company is no longer in business as it went bankrupt in 2004. The United American Health Insurance Company is being reviewed in place of the Trenwick America Health Insurance Company because of similarities. This health insurance provider is headquartered in McKinney, Texas. After you enter your zip code, you can get fast online health insurance quotes! The United American Health Insurance Company operates in 49 states. Focusing on supplementary health insurance products that appeal to Medicare recipients, the United American Health Insurance Company is one of the leading health insurance providers for policyholders over the age of 65. While the National Association of Insurance Commissioners usually posts warnings about rogue insurance companies and gives information to consumers, this agency also awards a select few companies that have unprecedented standards. The United American Insurance Company was awarded one of these honors in the year 2010 for offering its comprehensive line of Medicare Supplement policies to older Americans. On the other hand, some policyholders have reported difficulties with the United American Health Insurance Company when attempting to submit insurance claims. Most consumer complaints center on a clause that prevents policyholders from having their claims approved if their insurance policies are less than 6 months old. The main offices for the United American Health Insurance Company are located in McKinney, Texas. There are many phone numbers listed for various departments at this insurance company on the official website. You can call United American Health Insurance Company at 1-972-529-5085 if you have questions about any of their products or services. Alternatively, you can send your correspondences through the web via the online comments form. By filling out an online request form for additional information, consumers are able to get rate information. There is also a phone number for prospective customers to call when they want to get health insurance quotes over the phone. While not all United American Health Insurance Company products are available to all consumers, general information on pricing can be obtained by getting a quote. Additional information including brochures and disclosures can also be mailed to your home if you want to review the policy details. The majority of the United American Health Insurance Company’s workforce is comprised of independent insurance agents. 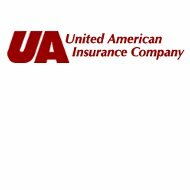 Unlike many other insurance companies, the United American Health Insurance Company is open to appointing newly licensed insurance agents. While no experience is needed to be appointed as a United American Health Insurance Company agent, a background check must be completed. Only applicants that are approved will be able to sell United American Health Insurance Company products. Presented, no in-house insurance agents are employed. Critical illness and prolonged medical treatment policies are also available. Many policyholders with the United American Health Insurance Company are Medicare recipients. Depending on their location as well as their insurance needs, the United American Health Insurance Company is able to offer the policies that best suit their needs. Medigap, Medicare part D coverage and several other health plans are also available. In total, the United American Health Insurance Company sells 24 separate health insurance plans. Because the United American Health Insurance Company markets the majority of its insurance products towards senior citizens, this company also offers excellent customer care. Customer service representatives can be contacted via phone, but there are also ways to get in contact with the United American Health Insurance Company over the web. Policyholders can register their accounts online and receive access to the United American Health Insurance Company web portal. From there, they will have the ability to pay their premiums, check on the status of their insurance claims, and find out when their coverage is set to begin and end. Potential and existing clients have the option of using either the phone or the web to get in contact with the United American Health Insurance Company. Customers regularly receive phone calls to see if they are satisfied with the service that they have received and to see if they have any additional questions. Review your real time health insurance quotes by typing in your zip code!